Please take action in whatever way you can to ensure we ALL have the right to a healthy environment, and so industries are stopped from polluting us for profit. Be fragrance-free. It’s good for you, it’s good for me. P.S. I have no control over the ads or the RELATED posts shown below. 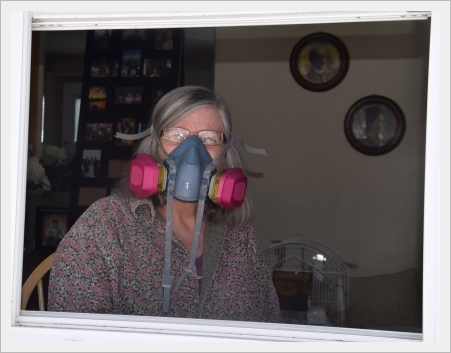 This entry was posted in Air Quality, Environmental Health, Environmental Sensitivities, Health, Housing, Pollution and tagged chemical sensitivity, hazardous air pollutants, hospitals, IAQ, invisible disabilities, masks, MCS, MCS housing, MCS/ES, multiple chemical sensitivities, petrochemicals, toxic trespass. Bookmark the permalink.